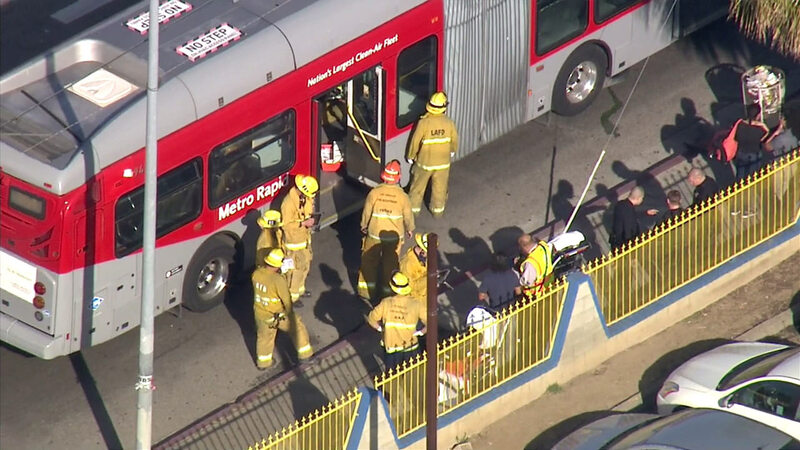 PICO-UNION, LOS ANGELES (KABC) -- Two Metro buses were involved in a crash in the Pico-Union area Thursday morning, sending nine people to the hospital, the Los Angeles Fire Department said. The crash occurred in the 1500 block of South Vermont Avenue shortly before 8 a.m.
Fire officials reported no major injuries but said 29 people, including two bus operators, were evaluated. Nine people were transported to a local hospital to be treated for non-life-threatening injuries.